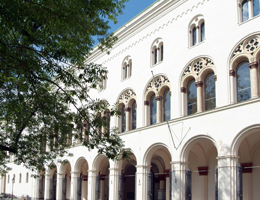 In the Times Higher Education (THE) World Reputation Rankings 2018, LMU Munich is placed 49th, and thus maintains its position as Germany’s highest-rated university. The latest iteration of the THE World Reputation Rankings is led by Harvard University, followed by MIT, Stanford University and the University of Cambridge. LMU fills the 49th slot in the list – and remains the only German contender in the Top Fifty. The table is based on responses to a worldwide survey conducted earlier this year, to which 10,162 academics in 138 countries contributed. The participants were asked to select the institutions which they considered to be the best in the world, in both tuition and research, in the disciplines with which they personally were most familiar. The responses to the new Reputation Ranking, which reflect the subjective view of the scientific community as a whole, form only one of the 12 elements on which the World University Ranking 2018-19 is based. The latter listing will be announced in the autumn.